When it comes to hiring and firing, there are a lot of grey areas that can lead to a number of issues for your business. It is critical that you properly understand the local and federal laws that regulate hiring and firing. One common employment lawsuit that we see here in California is a wrongful termination lawsuit. As your San Diego employment lawyers, we are here to help if a wrongful termination lawsuit has been filed against your business. The best case scenario is to avoid this lawsuit altogether. For this reason, check out the following information about wrongful termination in California to ensure that you keep your business out of harm’s way. Here in California, we are an “at will” state. What does this mean? It means that technically, an employer is allowed to fire an employee at any time without notice. However, just because it sounds simple, doesn’t mean it actually is. There are numerous reasons that you cannot fire someone, which are regulated by both federal and local laws. Understanding these reasons will go a long way in protecting your business from a wrongful termination claim. 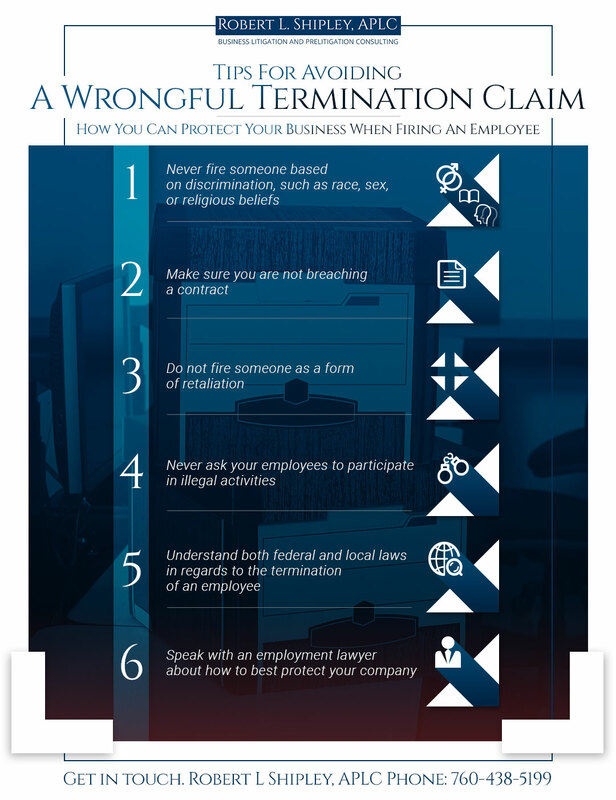 Check out the following scenarios in which an employee could file for wrongful termination. When you fire someone, be sure that you are not breaching a previous contract in doing so. For example, while California is an at-will state, if you signed a contract agreeing to employ someone for a set period of time and you go back on that promise, you can be sued for wrongful termination. Another example of this might be that your employee handbook states that you will only fire people for a reasonable cause. If you then fire someone without cause, you are in breach of your employee manual which is considered a binding contract. 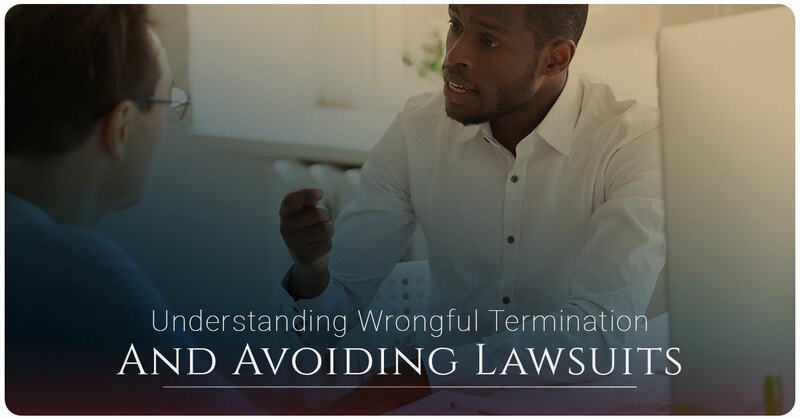 If an employee takes an action, such as reporting a violation of labor laws or filing a sexual harassment lawsuit and you then fire them in retaliation, you are in danger of a wrongful termination lawsuit. You cannot fire an employee as a means of revenge if the action they took is legal. When an employee is asked to doing something illegal and they refuse, they cannot be fired for this reason. For example, if your company is lying to the IRS and you ask your accountant to falsify information and they refuse to do so, you cannot fire them for this reason. If you need help with employment law, contact our firm today. Our employment lawyers have been serving San Diego for years and we will be happy to offer you a consultation for your company today.